Drain and rinse 2 packages of NuPasta Fettuccine. Set aside. Prepare meatballs as per instructions on packaging. Mix in a bowl the ground beef, allspice, minced onion, nutmeg, salt and pepper. 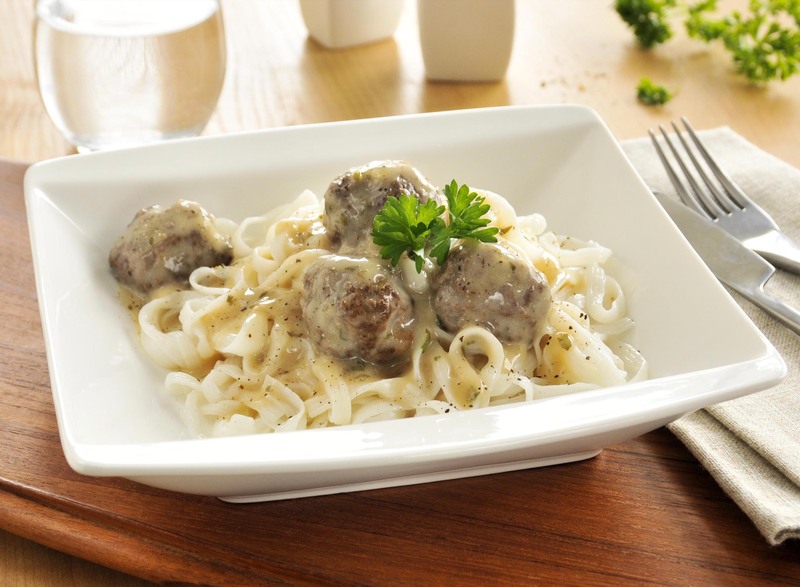 Form mixture into 1″ size meatballs and pan fry for 5 minutes (until 71⁰C). In a pot, heat beef broth and Worcestershire sauce until a boil. Add cornstarch with ⅛ cup water to the pot. Mix well. Whisk in sour cream. Add salt and pepper to taste. Add meat balls and NuPasta into the pot. Heat and serve.